It represents the core building blocks of ADF Business Components at run-time. There is an instance of a root application module containing view object instances. View object instances might be backed up by entity objects that are stored in entity collection or in other words entity cache. A root application module may also contain nested application modules which in their turn my contain their own view object instances. 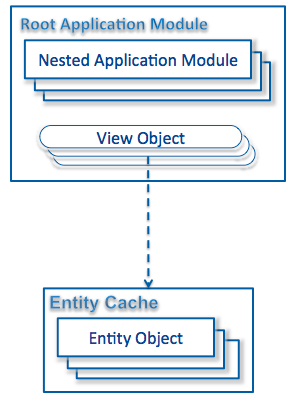 This is very important that all view object instances and nested application modules within a single root AM share the same entity cache. The question is How? The diagram above represents a very simple case. There is only one user session and it is assumed that there is only one root application module in the application. However, ADF BC suppose that each user session has its own entity cache. 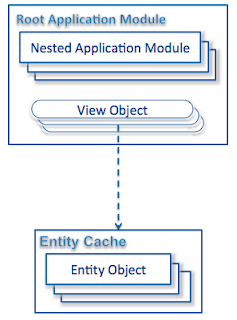 So, what links my application module to my and only my entity cache? 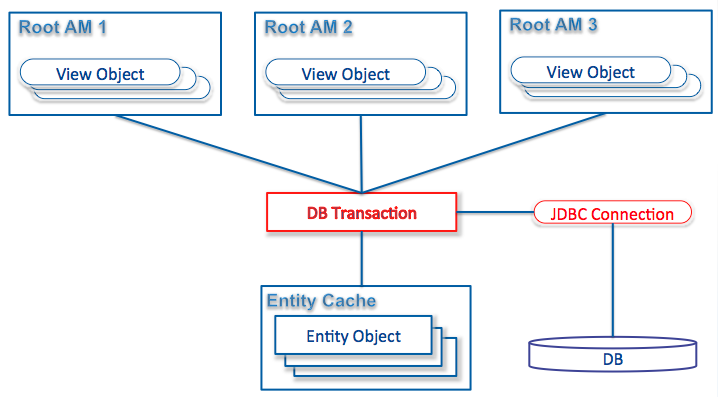 It is an internal framework object that actually contains entity cache and provides it to all application modules registered with this DB Transaction object. 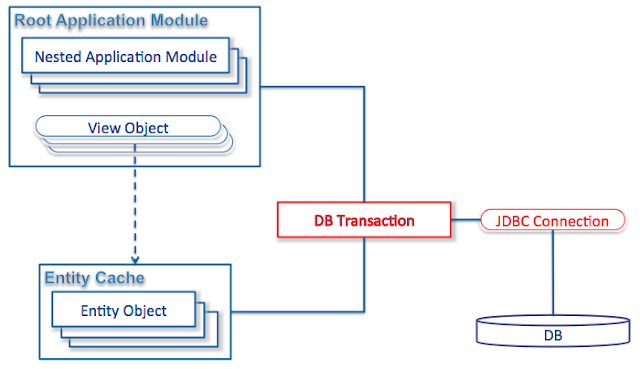 Furthermore DB Transaction object contains a DB connection and it provides all jdbc-related services such as creating and executing callable statements. 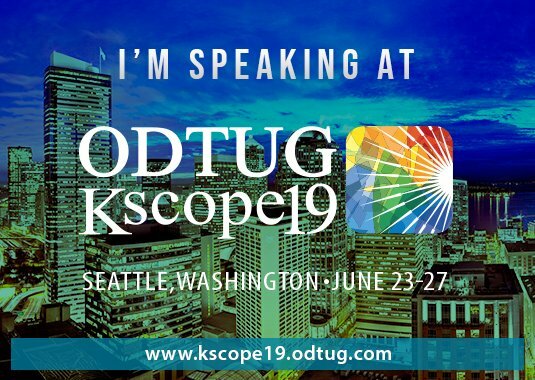 Many developers think that actually application module is responsible for containing entity cache, holding DB connection and interacting with database. That's not actually true. An application module is just attached to DB Transaction object consuming entity cache and DB connection from it. The word "attached" means that there could be many root application modules referring to the same DB Transaction object. In that case the transaction is called "shared". Each application module attached to it consumes the same DB Connection and the same entity cache. There is a common myth that any instance of a root application module always requires a dedicated DB connection. Obviously, that's not always the case. This feature is based on jbo.shared.txn AM property. It means that all root application modules with the same value of this property will share the same DB Transaction object and therefore the same DB connection and entity cache. The "shared transaction" feature is commonly used for shared application modules so that by setting the same string value for their jbo.shared.txn property we can force them to share the same DB connection.